We hear stories like this all the time. Companies get tired of the paperwork and administrative effort of Purchase Orders and so they switch to Purchasing Cards (p-cards) to make things easier. Often the p-card programs start off well and employees follow the guidelines (e.g. only to be used for low-value purchases, etc.). But inevitably things start to “creep”, and before you know it the cards are being used to buy everything, and then you’ve lost control of spending. 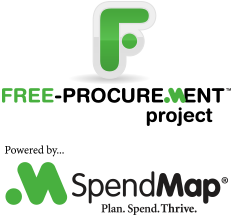 But the good news is, with the free version of SpendMap, you can get the tight internal controls that can only be achieved with a proper Requisition and Purchase Order process, while significantly reducing the paperwork and administrative burden compared to your Grand Daddy’s old paper Purchase Orders. Sometimes, when it comes to your company’s spending, there is such a thing as “too convenient”.